Israeli occupation naval boats resumed, on Monday, persistent gunfire attacks on Palestinian fishermen sailing within the unilaterally imposed six-nautical-mile fishing zone offshore Gaza, according to local sources. WAFA correspondence said that the navy opened machine gunfire on fishermen’s boats while they were sailing offshore Gaza City, inflicting financial damages to some of them. There were no reports of casualties, however. 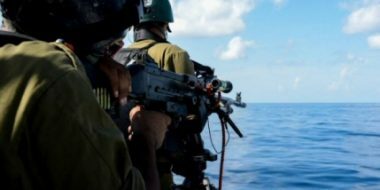 The Israeli navy targets Gaza fishermen on an almost daily basis, in a blatant breach of a ceasefire agreement reached between Israel and armed Palestinian groups in August of 2014, following 51 days of bloody aggression on the Gaza Strip, which claimed the lives of over 2,200 Palestinians, mostly civilians.